This farmers market is a little different than most of the ones I mention in my wanderings. I’d seen it before, even walked through it once long ago when I first wandered Hell’s Kitchen. 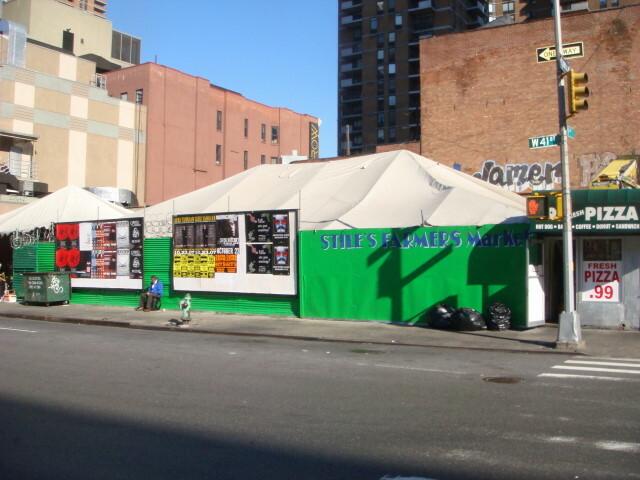 Stiles is located at the corner of 41st Street and 9th Avenue. It’s not like they typical market: it’s semi-permanent. Yeah, it’s pretty much just a tent. A nice tent. But it is a tent. 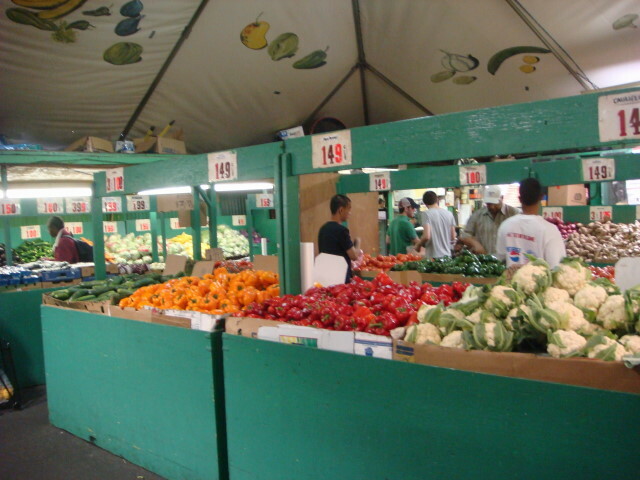 When I wandered in the other day, I was struck by the quality of the produce and the low price. In fact, it struck me more as a grocery store than a tent. But it is a tent. I generally don’t like the quality of produce in NYC. You have to pay some pretty good money for marginal stuff from a small selection. To find a good selection, and it can be found, you have to do a lot of hunting and pay for it. Here was stuff and selection that was pretty good (although not up to suburban grocery standards like my favorite, Publix). I gathered up a bunch and escaped for way less than $10. That’s astonishing for me. This entry was posted on October 24, 2007 at 7:40 pm and is filed under Food, Hell's Kitchen, Manhattan, Wanderings. You can subscribe via RSS 2.0 feed to this post's comments. You can comment below, or link to this permanent URL from your own site.